This one-bedroom condo is the perfect “base camp” for your Teton vacation – your home away from home! Built in the fall of 2007, our second-floor condo offers 575 square feet of living space with 1 bedroom, 1 full bath, living/dining room, a full kitchen and all new furnishings and appliances. The bedroom has a queen-sized bed in addition to a queen-sized sleeper sofa in the living room, comfortably sleeping up to 4 adults. Special touches including granite countertops, tile floors, Egyptian cotton towels, high thread count sheets and cozy quilts will make this the perfect retreat. When you’re ready to relax, snuggle up on the couch with a book or enjoy the 32 inch LCD TV. We lived in Jackson, WY in the 90's and fell in love with the area. Even though we've traveled through much of the West, Teton Valley remains one of our favorite places. We love everything it has to offer and the beauty that surrounds us! 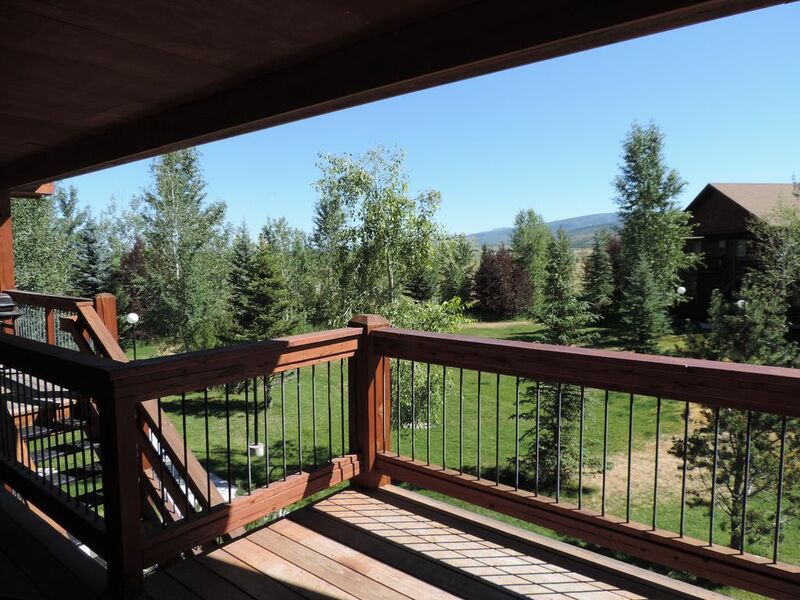 We love the little town of Victor and this property has great proximity to Jackson, Grand Teton, Yellowstone and great fly-fishing waters. View of Teton Range and Big Hole Mountains. The condo was very comfortable and the kitchen was well stocked. The condo was clean and conveniently located near Jackson Hole. Cozy, Clean, Comfortable and Quite. Perfect for the two of us. If we are ever visiting GTNP or YSNP again, will definitely consider this place. Lovely condo and close to sites to see. Enjoyed staying at this condo- very nice and well maintained. Close to attractions to see. Easy access and easy to find. Bryan is very nice and helpful as well- had great ideas for things to do. We had a fantastic stay at this very clean and comfortable condo. It was prefect for our small family and very much felt like home. Bryan was very attentive to our needs and quickly responded to any questions I had. He also recommended many restaurants, all that we tried were spot on! If you're looking for a cozy place to stay in Victor I highly recommend this spot. This is a non-smoking unit and pets are absolutely NOT allowed. Please contact with Bryan with questions regarding our pricing. Renters are responsible for any damage done to the condo during their stay.